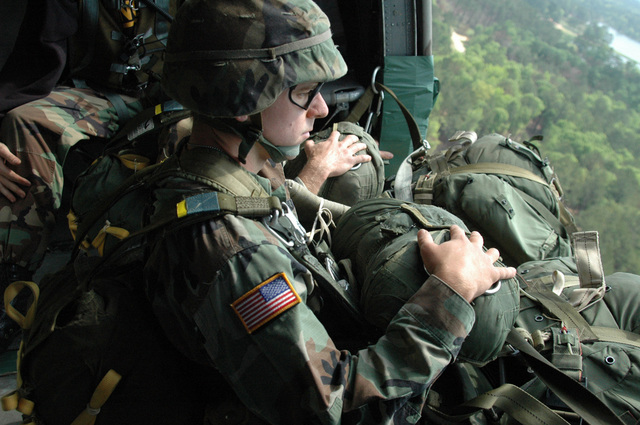 Best Ranger Competitors get ready for an Airborne Assault as part of the competition (Benning Photo). The 22nd Annual Best Ranger Competition closed yesterday. The Army Chief of Staff, General Peter Schoomaker, awarded the winners - Capt. Corbett McCallum and Sgt. 1st Class Gerald Nelson - the Order of Saint Maurice and Colt 45 pistols. Last year, I posted a review of the competition (complete with events). And the Army has a story about the awards ceremony. Hopefully, ESPN will broadcast the competition soon.